Giving you ideas on how to see items at the thrift store in new ways – and how to let your (real or faux) plants look great in your secondhand containers! This post contains affiliate links for your convenience. I LOVE thrift stores, antique stores, Craigslist, etc! It’s so fun to reimagine things I find there in new ways. Here’s 3 of my favorite ways to use thrift store items for your greenery. And keep reading to the bottom of the post if you think you can’t keep a plant alive in your home…think again! 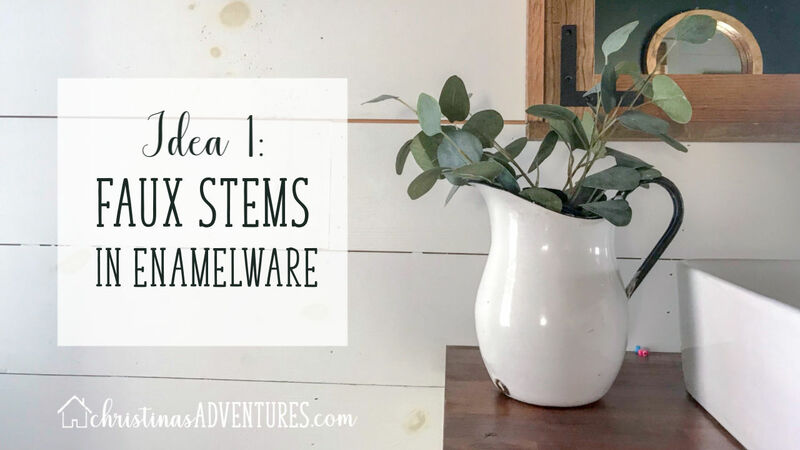 I originally shared these ideas in my Instagram stories, but just in case you’re not following along, I thought I’d make them into a blog post for you to reference later! If you think you can’t keep a plant alive (more of that at the bottom of the post!) then help yourself to some faux greenery! I truly believe every room needs greenery, whether it’s faux or real! You can find enamelware pitchers at many antique stores, but they may have some spots rotted out. If you’re not using them for anything wet, then it doesn’t matter! Stick some faux stems in that pitcher and call it a day! So simple! Love ours in our bathroom – would also look great in a kitchen! I shared all of these tips in a video here – click play to watch if you’d rather do that than read through the post! 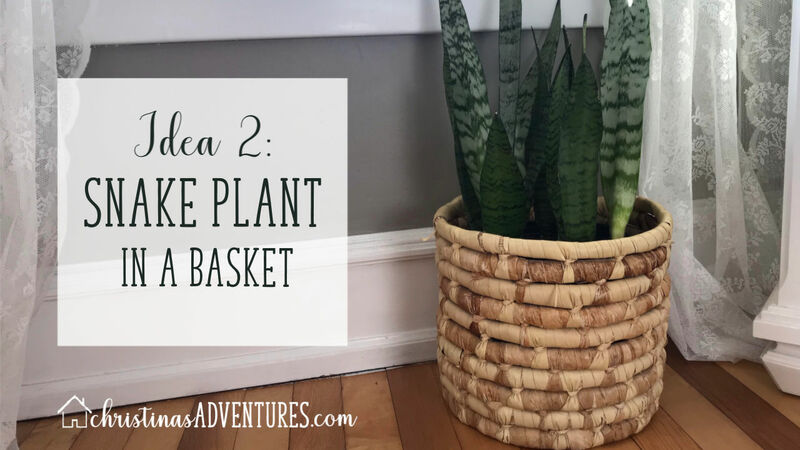 I found this basket for $4 at a thrift store and used to keep some kids toys in it, but it wasn’t really used well, so I stole it for my new plant. I added a garbage bag to the bottom and plopped it in (kept it in the plastic container it came in from the store). 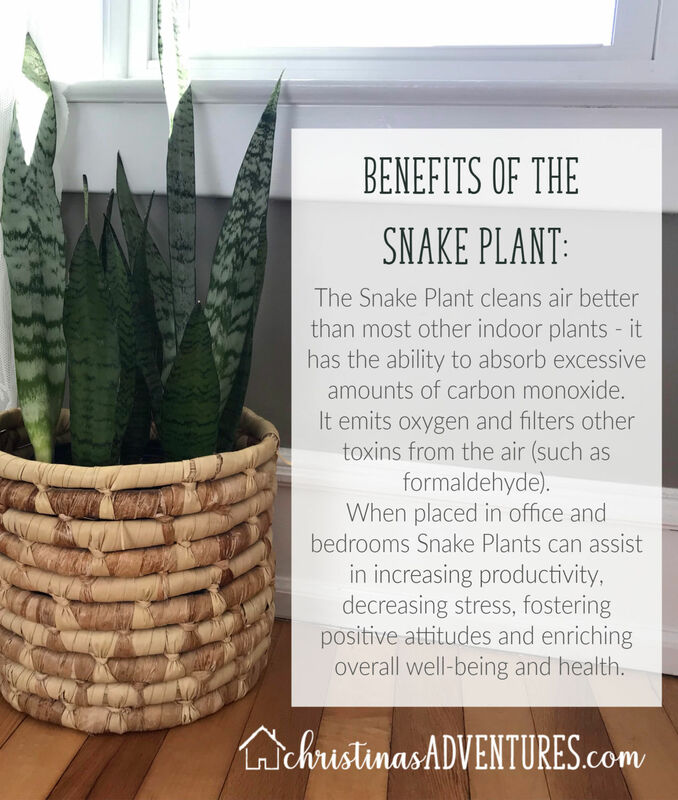 A snake plant is the perfect “bedroom plant”. If you don’t have any luck finding a taller basket at the thrift store, then check Homegoods or some of these below! This plant is called a “pothos” and it’s been the one that I’ve been able to truly keep alive through lots of neglect. I really recommend it for a first plant in your home! 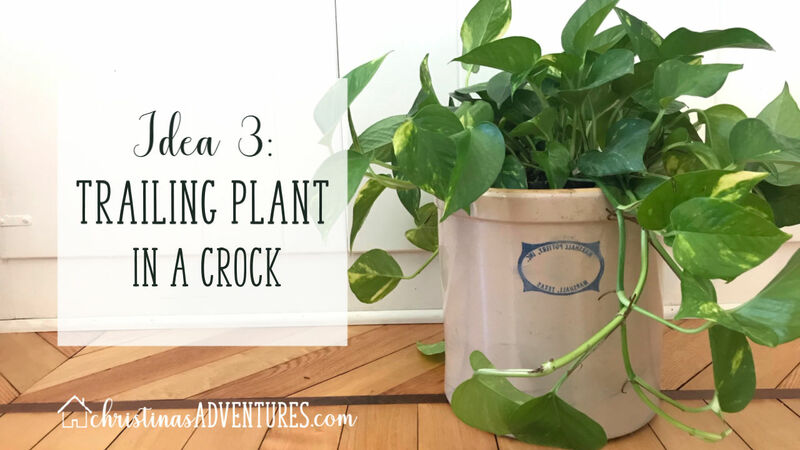 I personally love to take a hanging planter, take the hanger off, and then plop it into the crock. I usually use random household items to prop it up and bring it to the right height. Again, make sure to add a garbage bag or plastic shopping bag to the bottom! 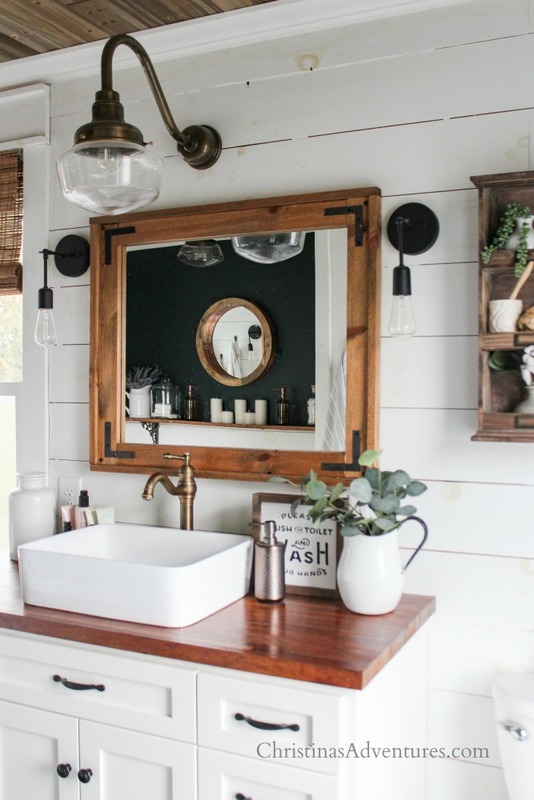 I get crocks at antique stores and Craigslist – see my best tips for how to find the BEST hidden deals on Craigslist here. I used to call my house the plant graveyard. The place plants went to die. And they really did! I couldn’t keep any of them alive! But it turned out I was putting them all in the wrong places, watering them at the wrong times, or just trying the wrong plants. Go to a local greenhouse and talk to someone who truly loves plants. They’ll be happy to help you! Tell them you’re looking for something that’s easy to care for and perfect for beginners. Ask them how often you should water it, what light it should get, and listen to any other tips they can give you. That’s how I learned how to finally keep plants alive in my house! And also – just take one at a time. Keep one alive for a month or so, and you’ll gain your confidence to get another one. And another, and another…soon it’ll become a slight addiction! I hope these ideas for how to use plants in secondhand containers helps you – find me on Instagram or Facebook and share your ideas with me! I love to re-share your amazing ideas as well! Previous Post: « My creative community re-opens!